Cadillac has explicitly said the CT6 is not the brand’s flagship. Perhaps the assertion stems from the fact Cadillac is in a perpetual state of “just wait for…” as the revolving door of reinvention continues to spin at its SoHo headquarters. Nonetheless, the 2018 CT6 is a big, rear-wheel drive luxury sedan; you know, like the BMW 7 Series and Mercedes-Benz S Class. The CT6 is the first car to utilize what is known inside GM as the Omega platform. With mostly aluminum construction, this rear-drive architecture is applying the company’s learnings from the Alpha platform that underpins the ATS and CTS, but adding sophistication such as rear wheel steering and shear scale to underpin the not-flagship sedan. The merger yields a big sedan that’s worthy of being mentioned in the same sentence as Germany’s finest, but not for obvious reasons. Much like the Alpha cars, the CT6 is an attractive sedan. The hood is long enough the driver has to raise up to see the end of it; a sea of chiseled sheet metal making up the gap as a subtle nod to the car’s stately demeanor. Overall softer surfacing converges with Cadillac’s typical hard-angled lighting in a way that makes the CT6 interesting to look at, while taking on a more upscale appearance than its stablemates. Resting underneath lies the first clue this isn’t a real flagship sedan. Despite the engine compartment being comfortable enough for a longitudinally mounted V-8 engine, this Cadillac is packing a twin-turbo V-6 instead. With 404 horsepower and 400 pound-feet of torque, the 3.0-liter mill manages to move the CT6 swiftly. The optics of the $90,000 CT6 not offering eight cylinders is far worse than the actual application. In practice this Cadillac-exclusive engine is a delight for whoever finds themselves in the driver’s seat. Off-the-line acceleration is surprisingly quick given the car’s size, but a very mass-efficient architecture certainly places physics on the side of the six-cylinder. The overall power level is more than enough for most people who are going to pilot a big Cadillac, but it lacks the excessive punch offered by the German sedans’ V-8 plants. For now the twin-turbo’s power is funneled through an eight-speed automatic transmission to all four wheels. Typical of GM’s eight-speed slushboxes, this one is very smooth with quick, no-fuss shifts. That said, the power band would benefit from a couple more gears, much like the car as a whole would benefit from two more cylinders. Fortunately, Cadillac has already answered the question of more. The 2019 CT6 V Sport will add two more cylinders and gears to make what starts to look a lot like a proper flagship sedan, but don’t tell Cadillac we said that. 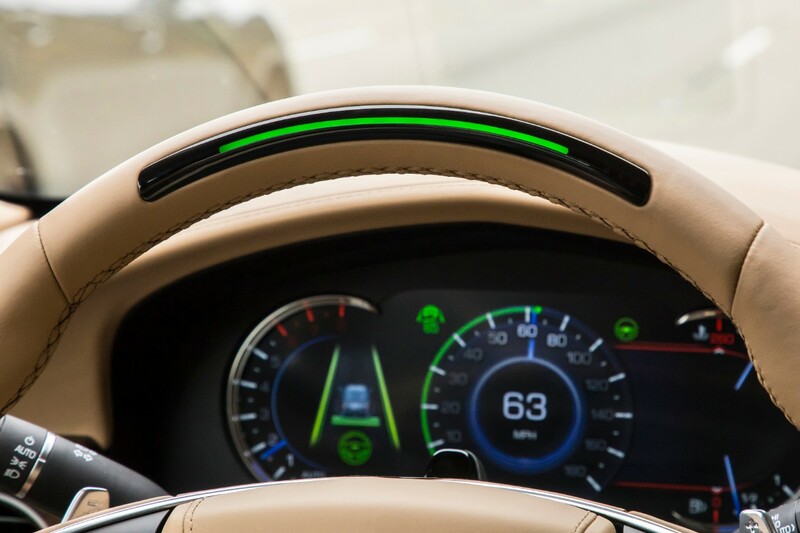 Where the CT6 needs no additions is on the technology front. Cadillac has utilized the CT6 as a conduit to bring its semi-autonomous Super Cruise feature to the road. Leveraging a LiDAR mapping database, sensors, on-board radar and cameras, the CT6 can quite literally pilot itself down limited-access freeways. Some have been skeptical of this system and it most certainly hasn’t been privy to the fanboyism enjoyed by Tesla’s Autopilot. Antics aside, simply pushing a button on the steering wheel allows the driver to completely remove their hands from the wheel and let the CT6 do the driving. When first enabled, Super Cruise defies the cognitive norm. A light bar resting at noon on the wheel illuminates green; the driver’s green-light to remove their hands from the wheel because the CT6 is now doing the steering. This is also the point in which the driver has to mentally challenge their preconditioned reaction to snag the wheel at the first upcoming curve. Where Super Cruise is novel is in its hands-free ability. 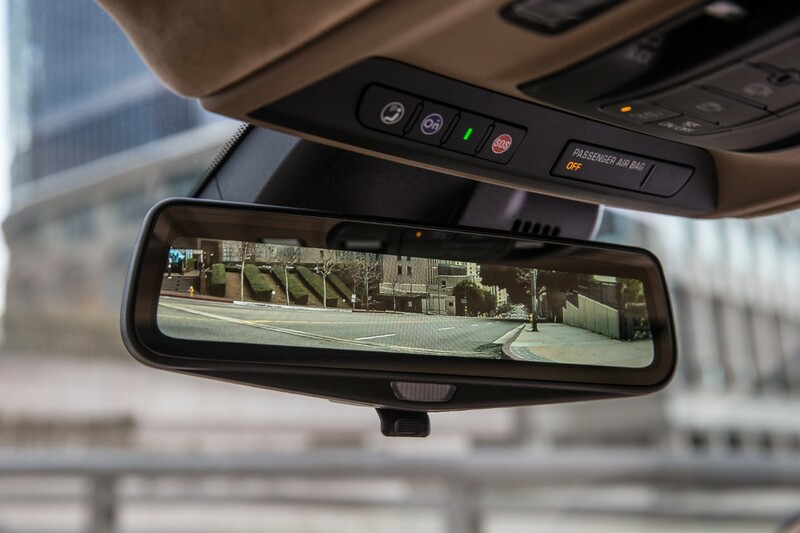 While most similar systems rely on pressure sensors on the steering wheel to determine if the driver is paying attention, Cadillac’s utilizes a camera mounted on the steering column to track eye movement. Look away from the road too much, Super Cruise will begin a cadence of warnings about paying attention. The trickiest part of Super Cruise is getting the car aligned perfectly in its freeway lane to enable the functionality, but other than that, it’s remarkably simple to use. For some perspective, the CT6 is among an elite class of vehicles. It enables its driver to sit on a leather throne getting a massage while the car drives itself on the morning commute. While this car may not be Cadillac’s holistic flagship product, its technology poweress positions it above German rivals. That said, Super Cruise isn’t perfect. It’s use is currently limited to freeways that have been mapped by LiDAR. The system also isn’t capable of doing lane-changes on its own yet; a pretty substantial handicap when driving on eight-lane roads, such as the dreaded I-35 here in Kansas City. Another perk of Super Cruise is that it enables the driver to pay more attention to other aspects of the car. While the car is doing all the work down the freeway, the driver can soak up other attributes, such as the car’s handling ability. The CT6, like most Cadillac’s, features Magnetic Ride Control suspension. Generally the pinnacle of adaptive suspension systems, MRC is a bit quirky in the CT6. 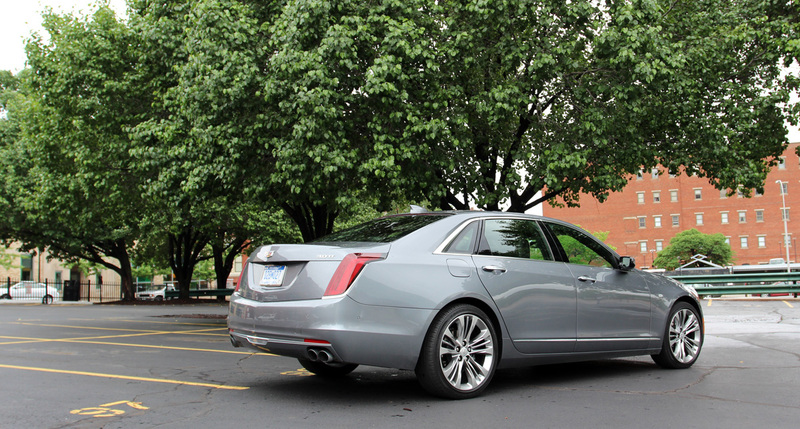 When in ‘tour’ mode, the CT6 rides like one would expect from a big Cadillac sedan. The ride quality is soft, but just shy of floaty. It’s a near-perfect state for those resting in the vast abyss that is the backseat of the CT6; enjoying a movie and their own dual-zone climate control system. Where things get wonky is in ‘sport’ mode. While firmed up dampers are expected in this mode, the tuning is odd and exhibits a constant jitteriness over all types of tarmac. This isn’t the first time Cadillac’s have exhibited this behavior. The ATS also oftentimes feels jittery in sport mode. It’s almost like the suspension is hypersensitive instead of just offering a more controlled, firm rebound rate. Steering feel also firms up in sport mode, but tends to lack the controlled road feedback you get from German rivals. Basically, it feels like sport mode has a bit of an identity crisis; one that will probably be corrected with next year’s V Sport model. There’s also a bit of an identity crisis with the CT6’s interior as well. Our Platinum grade tester came laced with the most-premium of materials, such as a leather-wrapped dash and faux suede headliner. Cadillac has become very disciplined with material quality and the CT6 is largely no exception. But upon closer inspection one finds things like the switchgear (some of which are shared with other GM models) and details that are still lacking for a $90,000 sedan. For example, the seat and exterior mirror controls are formed in a cheap looking black plastic. Step inside a Mercedes-Benz and you won’t find anything of the like. The best analogy to make with Cadillac versus German interiors is this: Cadillac is a high-end department store, while the Germans are generally boutiques. It’s not a matter of strict material quality, but a minor overlook for interior details on Cadillac’s part. Ultimately, it is Cadillac that says the CT6 isn’t their flagship. The best may yet to come, but for now the CT6 is walking the line between great sedan and flagship-worthy. It looks the part and has a level of technology that allows it to hold its head in confidence when mentioned in the same sentence as a 7 Series or S Class. It is the first Cadillac sedan that is only a few refinements away from being the brand’s flagship; most of the refinements may already be coming with the 2019 V Sport. Length (mm/in) 5,184 mm / 204.1"
Wheelbase (mm/in) 3,109 mm / 122.4"
Width (mm/in) 1,880 mm / 74"
Height (mm/in) 1,472 mm / 58"
I certainly can’t wait for the V-Sport. I’d love to replace my XTS with a CT6 with supercruise. Awesome piece of tech. Driving this car definitely left me really excited for the V Sport. I think it will fix all the issues I had with the Platinum. Nice review. SuperCruise reminds me a bit of how Apple might approach new tech vs. Android (Autopilot). 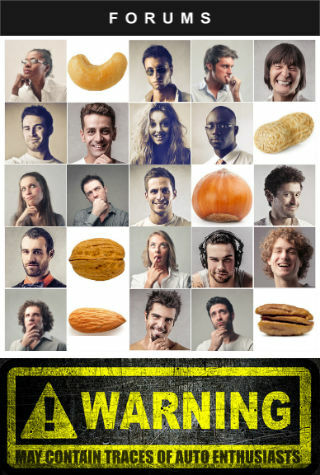 The former strips down the experience to only the things that can be delivered really well; the latter offers more options, even if the actual experience is pretty variable. Cadillac's approach seems entirely appropriate for the brand; it's one thing they've seemed to have done really well and should be a litmus test for everything else. My sense is this is the best sedan GM/Cadillac is capable of building right now. It is their flagship sedan. And, it's pretty close to world class. They simply need to get some of the details right for CT6 2.0 (MRC tuning, interior design/execution, styling evolution). Given that GM hasn't really played in this space for generations, there is no shame in getting 95% of the way there. Sounds like the fundamentals (platform, drivetrains, technology) are pretty sound. The one thing you didn't mention: infotainment. Is Cue better now? Cadillac has explicitly said the CT6 is not the brand’s flagship. Perhaps the assertion stems from the fact Cadillac is in a perpetual state of “just wait for…” as the revolving door of reinvention continues to spin at its SoHo headquarters. Nonetheless, the 2018 CT6 is a big, rear-wheel drive luxury sedan; you know, like the BMW 7 Series and Mercedes-Benz S Class.The CT6 is the first car to utilize what is known inside GM as the Omega platform. With mostly aluminum construction, this rear-drive architecture is applying the company’s learnings from the Alpha platform that underpins the ATS and CTS, but adding sophistication such as rear wheel steering and shear scale to underpin the not-flagship sedan. The merger yields a big sedan that’s worthy of being mentioned in the same sentence as Germany’s finest, but not for obvious reasons.Much like the Alpha cars, the CT6 is an attractive sedan. The hood is long enough the driver has to raise up to see the end of it; a sea of chiseled sheet metal making up the gap as a subtle nod to the car’s stately demeanor. Overall softer surfacing converges with Cadillac’s typical hard-angled lighting in a way that makes the CT6 interesting to look at, while taking on a more upscale appearance than its stablemates.POWERFUL, BUT NOT EXCESSIVEResting underneath lies the first clue this isn’t a real flagship sedan. Despite the engine compartment being comfortable enough for a longitudinally mounted V-8 engine, this Cadillac is packing a twin-turbo V-6 instead.With 404 horsepower and 400 pound-feet of torque, the 3.0-liter mill manages to move the CT6 swiftly. The optics of the $90,000 CT6 not offering eight cylinders is far worse than the actual application. In practice this Cadillac-exclusive engine is a delight for whoever finds themselves in the driver’s seat. Off-the-line acceleration is surprisingly quick given the car’s size, but a very mass-efficient architecture certainly places physics on the side of the six-cylinder. The overall power level is more than enough for most people who are going to pilot a big Cadillac, but it lacks the excessive punch offered by the German sedans’ V-8 plants.For now the twin-turbo’s power is funneled through an eight-speed automatic transmission to all four wheels. Typical of GM’s eight-speed slushboxes, this one is very smooth with quick, no-fuss shifts. That said, the power band would benefit from a couple more gears, much like the car as a whole would benefit from two more cylinders.Fortunately, Cadillac has already answered the question of more. The 2019 CT6 V Sport will add two more cylinders and gears to make what starts to look a lot like a proper flagship sedan, but don’t tell Cadillac we said that.GET A MASSAGE WHILE THE CAR DRIVESWhere the CT6 needs no additions is on the technology front. Cadillac has utilized the CT6 as a conduit to bring its semi-autonomous Super Cruise feature to the road. Leveraging a LiDAR mapping database, sensors, on-board radar and cameras, the CT6 can quite literally pilot itself down limited-access freeways.Some have been skeptical of this system and it most certainly hasn’t been privy to the fanboyism enjoyed by Tesla’s Autopilot. 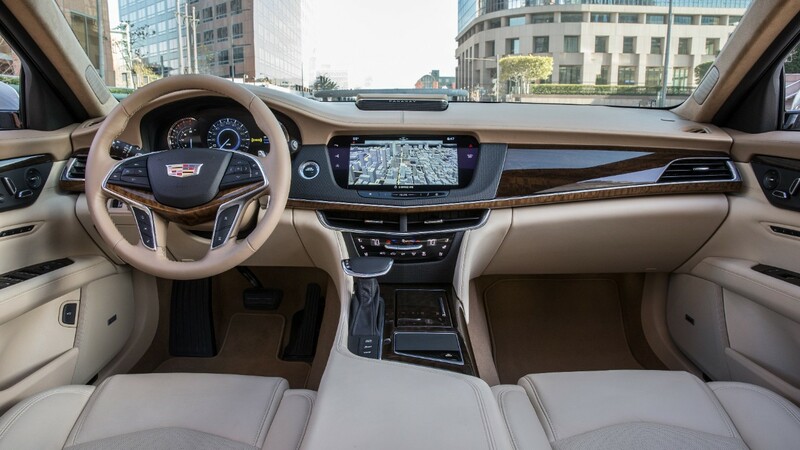 Antics aside, simply pushing a button on the steering wheel allows the driver to completely remove their hands from the wheel and let the CT6 do the driving.When first enabled, Super Cruise defies the cognitive norm. A light bar resting at noon on the wheel illuminates green; the driver’s green-light to remove their hands from the wheel because the CT6 is now doing the steering. This is also the point in which the driver has to mentally challenge their preconditioned reaction to snag the wheel at the first upcoming curve.Where Super Cruise is novel is in its hands-free ability. While most similar systems rely on pressure sensors on the steering wheel to determine if the driver is paying attention, Cadillac’s utilizes a camera mounted on the steering column to track eye movement. Look away from the road too much, Super Cruise will begin a cadence of warnings about paying attention. The trickiest part of Super Cruise is getting the car aligned perfectly in its freeway lane to enable the functionality, but other than that, it’s remarkably simple to use.For some perspective, the CT6 is among an elite class of vehicles. It enables its driver to sit on a leather throne getting a massage while the car drives itself on the morning commute. While this car may not be Cadillac’s holistic flagship product, its technology poweress positions it above German rivals.That said, Super Cruise isn’t perfect. It’s use is currently limited to freeways that have been mapped by LiDAR. The system also isn’t capable of doing lane-changes on its own yet; a pretty substantial handicap when driving on eight-lane roads, such as the dreaded I-35 here in Kansas City.IT'S ALL IN THE DETAILSAnother perk of Super Cruise is that it enables the driver to pay more attention to other aspects of the car. While the car is doing all the work down the freeway, the driver can soak up other attributes, such as the car’s handling ability.The CT6, like most Cadillac’s, features Magnetic Ride Control suspension. Generally the pinnacle of adaptive suspension systems, MRC is a bit quirky in the CT6. 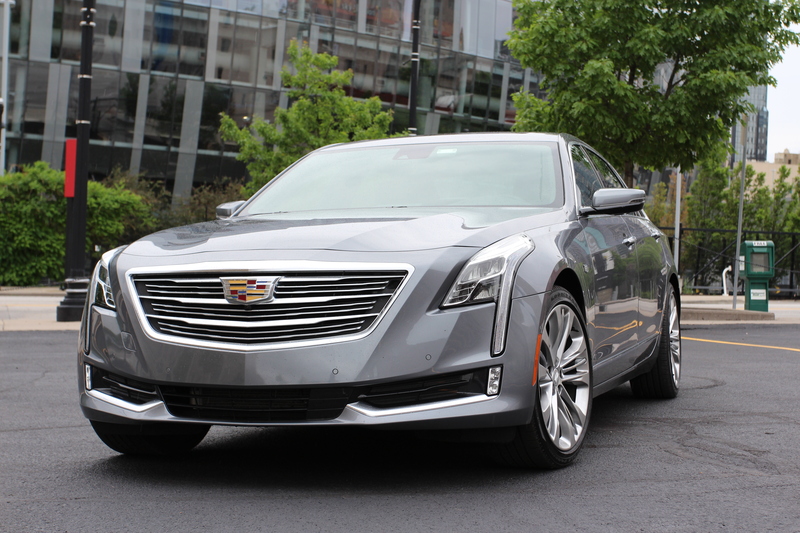 When in ‘tour’ mode, the CT6 rides like one would expect from a big Cadillac sedan. The ride quality is soft, but just shy of floaty. It’s a near-perfect state for those resting in the vast abyss that is the backseat of the CT6; enjoying a movie and their own dual-zone climate control system. Where things get wonky is in ‘sport’ mode. While firmed up dampers are expected in this mode, the tuning is odd and exhibits a constant jitteriness over all types of tarmac.This isn’t the first time Cadillac’s have exhibited this behavior. The ATS also oftentimes feels jittery in sport mode. It’s almost like the suspension is hypersensitive instead of just offering a more controlled, firm rebound rate. Steering feel also firms up in sport mode, but tends to lack the controlled road feedback you get from German rivals. Basically, it feels like sport mode has a bit of an identity crisis; one that will probably be corrected with next year’s V Sport model.There’s also a bit of an identity crisis with the CT6’s interior as well. Our Platinum grade tester came laced with the most-premium of materials, such as a leather-wrapped dash and faux suede headliner. Cadillac has become very disciplined with material quality and the CT6 is largely no exception. But upon closer inspection one finds things like the switchgear (some of which are shared with other GM models) and details that are still lacking for a $90,000 sedan.For example, the seat and exterior mirror controls are formed in a cheap looking black plastic. Step inside a Mercedes-Benz and you won’t find anything of the like. The best analogy to make with Cadillac versus German interiors is this: Cadillac is a high-end department store, while the Germans are generally boutiques. It’s not a matter of strict material quality, but a minor overlook for interior details on Cadillac’s part.Ultimately, it is Cadillac that says the CT6 isn’t their flagship. The best may yet to come, but for now the CT6 is walking the line between great sedan and flagship-worthy. It looks the part and has a level of technology that allows it to hold its head in confidence when mentioned in the same sentence as a 7 Series or S Class. It is the first Cadillac sedan that is only a few refinements away from being the brand’s flagship; most of the refinements may already be coming with the 2019 V Sport. Summary: The most impressive Cadillac sedan to date.